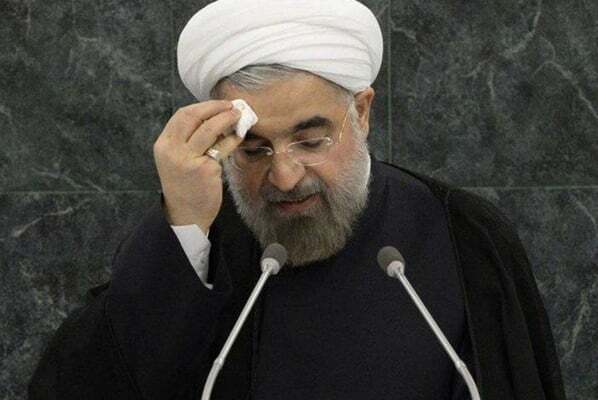 After several failed attempts, Iranian lawmakers for the first time mustered enough votes on Wednesday to summon President Hassan Rouhani to answer their questions in coming weeks over issues related to his handling of the country’s struggling economy. Parliament Speaker Ali Larijani announced that 80 lawmakers in the 290-chamber supported a motion that forces the president to stand in front of the lawmakers and respond to their questions in a major political blow to his prestige. Article 88 of the Constitution states that whenever one-fourth of the parliamentarians sign on to a summons, the president must appear in the chamber within one month to answer the lawmakers’ questions. The questioning will not automatically lead to his impeachment but it could prepare the ground for such a decision. The summons comes as the country’s currency has plumbed to new depths in recent days, dropping to as much as 120,000 rials against the US dollar. In May, the United States pulled out of a 2015 deal between world powers and Tehran, under which international sanctions were lifted in return for curbs on the Islamic Republic’s nuclear program. Washington decided to re-impose sanctions upon its withdrawal. It has told other countries they must halt imports of the Iranian oil as of November 4 or face US financial measures. The rial has lost about half of its value since April because of a weak economy, financial difficulties at local banks and heavy demand for dollars among Iranians who fear the effects of sanctions.